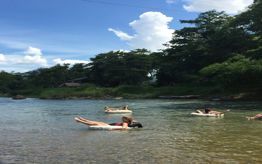 Tubing in Vang Vieng is still great for those seeking to have fun with friends, drink a few beers and experience some amazing scenery. But the serious party on the river is over. 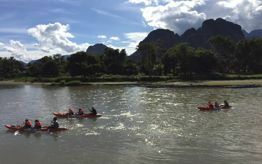 “Tubing” was once a synonym for backpacker debauchery: the Nam Song river was lined with illegal bars brazenly selling bucket drinks and drugs. At its peak, more than 400 people a day would tube down the river – and fly into the river via makeshift swings, slides and zip lines. 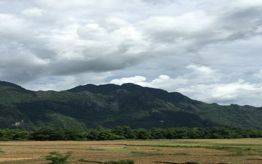 The system for tubing is the same as it always was and it remains a well-oiled machine: Roll up to the tubing mafia office, pay 55,000 kip for the rental plus 60,000 kip deposit and sign away your right to sue if it all goes horribly wrong. 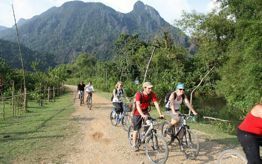 A tuk tuk driver promptly loads four to 12 people into the back of his vehicle as well as all the tubes and drives four kilometres north to the drop off point right next to the Vang Vieng Organic Farm (which in itself is worth a visit for a meal).